All of the sudden we are into fall! A couple of dustings in the peaks lets us know the time of year that we all love is just around the corner, edging out the memories of the summer with the anticipation of skiing. 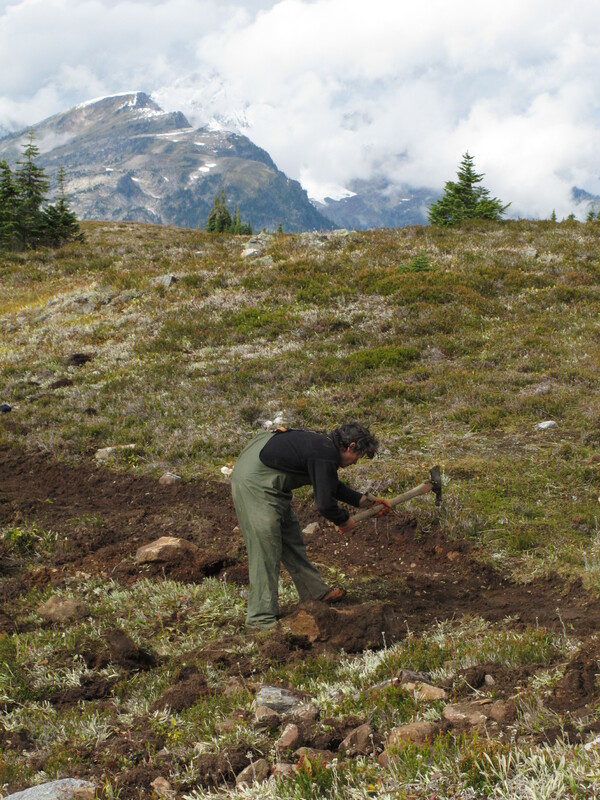 For me, since the Yukon, it has been nose to the grindstone, head down in the thick vegetation and slash that cover the clearcuts on the shoulders of the mountains that turn in to the ultimate playgound with a cloak of snow. 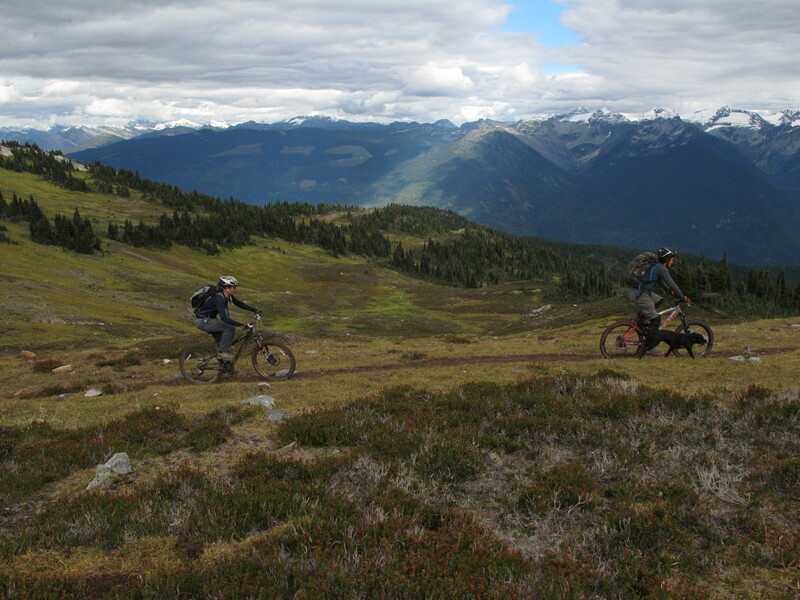 The highlight of the season’s toil has been working on a new mountain bike trail on Frisby Ridge, which runs roughly North/South for almost 20km right above Revelstoke. 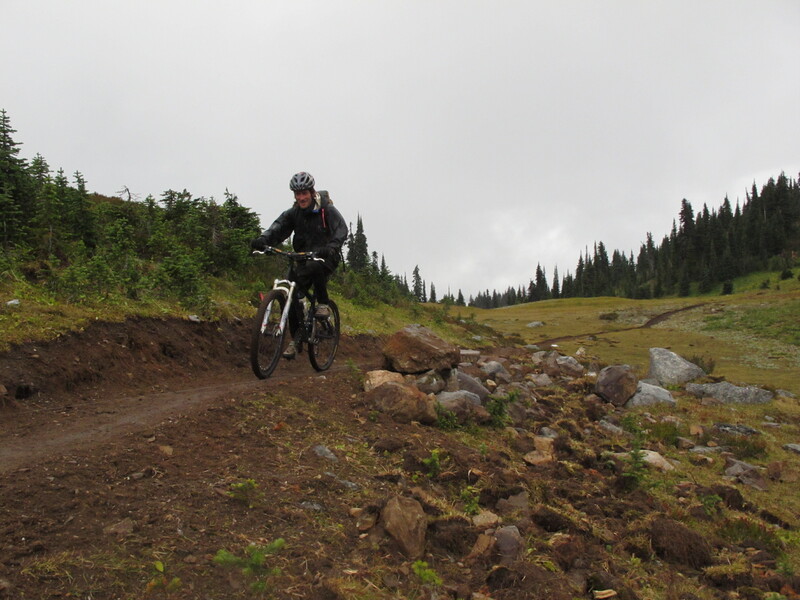 Around 12km of sweet singletrack was grubbed out by four different crews in August and September, starting from a landing at around 1300m, winding through an established plantation into the forest, and breaking out into gorgeous rolling subalpine terrain at 2000m. 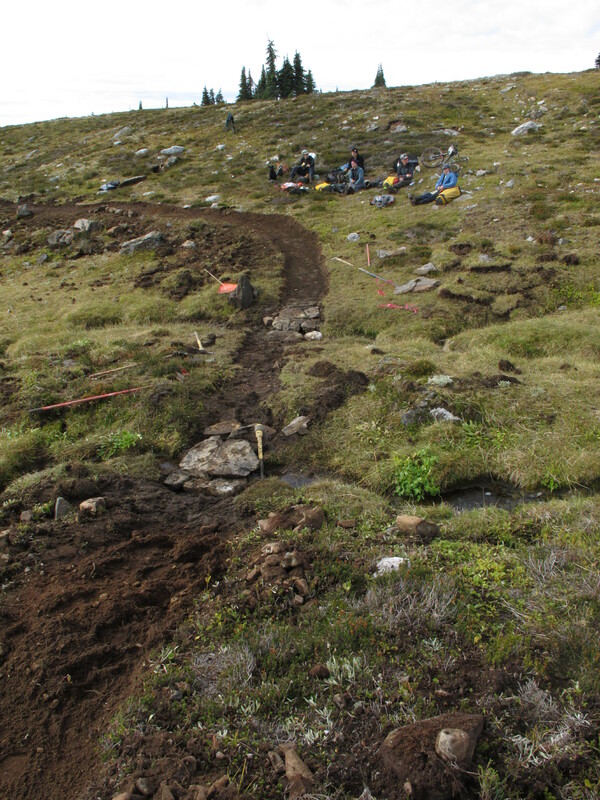 About half of our crew’s 3km section was in the subalpine zone, and when it wasn’t slashing rain, what a spectacular place to work! The trail has been flagged out all the way out to the end of the ridge, the freshly minted first 12k is already outstanding, when the whole thing is done this trail is going to EPIC! Doug riding very fresh, very buff single track. Breaking from some rockwork bridging. Dave wielding the polaski, a trail builders best friend. Dave, Callah and Pepper enjoying the scenery.